Everyday technology tries to outdo itself. All the modern conveniences that exist right now are on the evolution fan belt to make it bigger, better and faster. Learn more about manufactures and makers of products that are innovative must haves. Take a look at the future in technology and the devices designed to impact our environment and change lives. Robots are housekeepers and telephones are smart. Technology and the advancement of the computer age continue to dominate and explode. Devices such as our televisions and cars are built better and designed to connect to something common to update its capability at the speed of light. Every time you use your phone or turn on your tablet it wants to update to the newest version. All of this can be quite over whelming. The future of devices existing in our lives is certain so it is vital to learn all you can or be left behind. 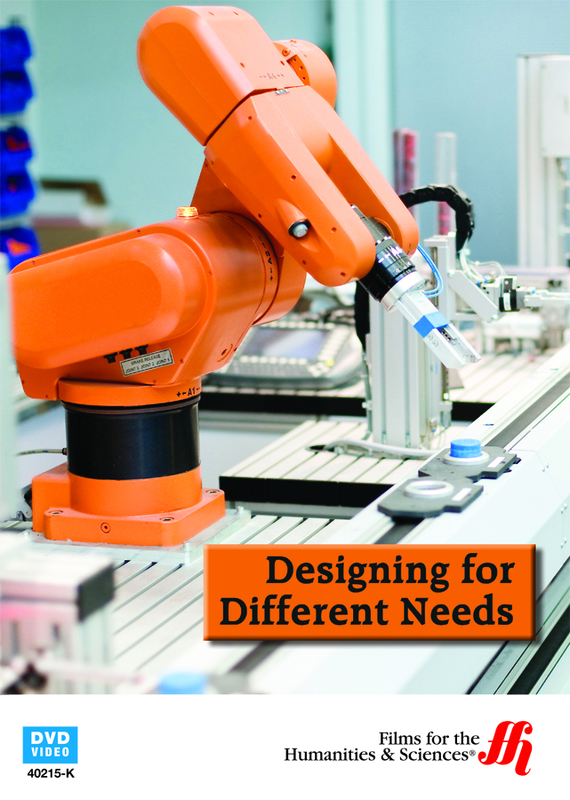 Designing for Different Needs explores some of those coming changes. Ths documentary discusses man's drive to create products that are innovative and technologically superior. There are many creators dedicated to advanced technology to make our world easier and more efficient. Today, 'the cloud' and '3-D' are sought after but how does that affect us? As everyday people these improvements could be over our heads. You need a platform to help you learn more about the future and the role devices play in it. With this documentary you could position yourself as a forward thinker viewing a documentary that catches you up.